1/1024 and the rest is just stupid! the beauty about warren is you don't even have to create a meme to make her look like an idiot. all you have to do is show her home video of her trying to be relatable by ackwardly putting her mouth over a beer bottle like anyone drinks a beer with lips over the entire mouth of the bottle. She is just another LibTard who is worth $5-$10 MILLION bucks and wants to tax the rich. Berine is no better, also worth Millions, multiple homes, cars and he wants We the People to be Socialists as long as they don't have to. Socialism has winner and losers: The winners are those at the top level of govt! FACT JACK: Hitler died his worth was between $3 and $5 BILLION. All of his inner circle were worth in the 100's of milliions. The losers, you and me! ….I saw her 'walk of shame' this afternoon, with the press asking her if she will now drop out of the race. She refused to answer. I don't even think Ms. Warren is ashamed...people like her have no shame when it comes to implementing their agendas. True, shame does not enter into their thinking. All Warren is doing is biding time so she can concoct some kind of idiotic idea like: Oh!, just found out that I'm 1/1024th Indigenous American. 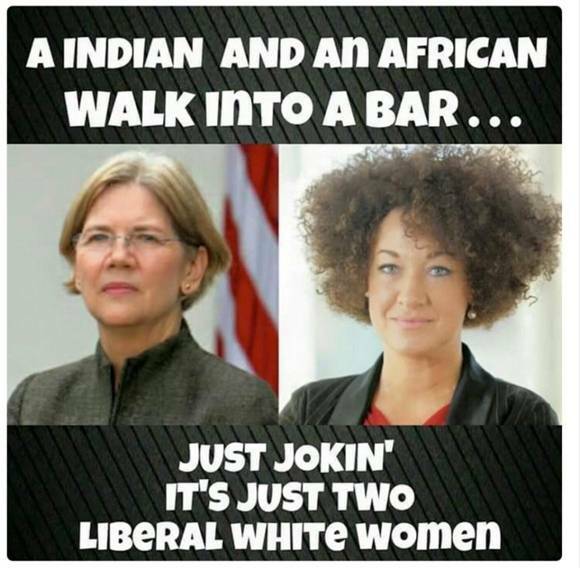 That makes her 99.99 percent White, yet she lied about being American Indian . . . many times.